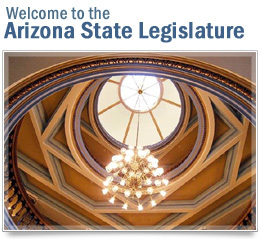 The Arizona State Legislature is a bicameral legislative body for the State of Arizona. Its Senate consists of 30 members who serve for 2 year terms with term limits of 4 terms. The House of Representatives consists of 60 members, 2 for each of 30 Legislative Districts. The Legislative session runs from January through June of each years. The ARIZONA LEGISLATURE WEBSITE provides comprehensive information about current bills, committees and calendars.